As the chart below (where I compare interest in the term "account based marketing" with "demand generation") shows, interest in Account Based Marketing has exploded over the last five years. For me at least, I can't remember the last I haven't heard or read someone talking about ABM having the solution to all ills. As with most hot topics (see Sales Enablement) I take a very cynical, conservative approach to them. Far too often these hot topics are just ways to take old ideas and present them as new so that if you're a consultant, you can charge bigger fees for your services, and if you're an executive, you can promise that next panacea to get your boss or CEO off your back. Account Based Marketing is not new. As I often say to people who claim it is: if you're involved in a B2B business and what you were doing before wasn't account based, then you were doing something wrong. That said, ABM (as it's practiced by the those who are doing it right) is different in an important way. It formalizes and orchestrates a variety of actions, personalized and targeted in a fashion that enables selling organizations to penetrate accounts they wouldn't otherwise penetrate and expand business faster. While ABM is certainly not a cure-all, and should not be implemented by every sales organization, it can be compelling when applied appropriately. Having seen a number of companies, practitioners and agencies talk the game of ABM, but fail to do anything other than increase costs; I wanted to share the key areas that cause ABM to fail. As the beginning of this blog indicated, ABM is not new. I have been executing the strategies behind ABM for more than 20 years. What is (slightly) new are the tactics, the technology to support (and assess) the tactics and the heightened orchestration of plays. ABM is not an approach to take if you're struggling or haven't found a formula for growth. It's not an "average to good" play; it's a "good to great" one. Make no mistake...implementing an ABM strategy requires an investment of time, resources and- yes, money. You must deepen and customize your messaging; you must develop real insights about the accounts you target and you must implement refined demand generation strategies. Don't jump on the ABM bandwagon because it sounds easy (even though a lot of purveyors make it seem that way). Do it only because it's a strategy worthy of the time and effort required. I'm convinced that the real reason behind the ABM craze is really driven by the SAAS companies that are out peddling their email and advertising wares. Everybody's trying to claim they're account based everything...so buy my product! 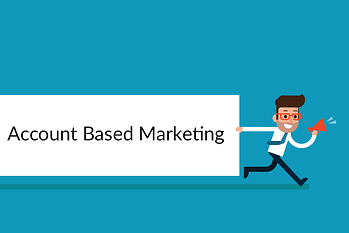 The result of all of this is that the vast majority of people who think they're implementing account based marketing are just implementing account based spam. As the points below will highlight. The first, which is pure ABM, is a highly targeted approach. With this approach, you're targeting named accounts that typically number somewhere between 10 and 50 per sales rep (not per SDR). The second, which I like to call ABM-light, is one where you target hundreds of companies that fit a highly developed, deep ideal customer profile. The first step in an effective ABM implementation lies in your ability to target the right accounts. While this step seems simple, it's not. Every step of your ABM strategy is dependent on a clear account identification process. If the process is vague, your execution will be as well. Be sure you've developed a full profile of both your ideal customer as well as the personas you want to connect with. Several months ago I had a client that was hot to do ABM; he insisted we make it a part of our execution plan. I told him that I would be happy to do it (his ideal client profile was a fit for ABM). So we took their ideal customer profile, broke it down into different segments and identified several target companies within each sector. Then we asked for insights and targeted messaging for each segment. We asked a simple question - what are the unique problems these businesses or segments are facing that your product solves. What we got was pablum. It was the same boring crap that they were trying to throw every prospect in their database. As I shared this problem with the CEO, he acknowledged that they didn't know what the real problems were and didn't have any real insights. I'll never forget his comment at the end. He said, "That's why we want to do account based marketing, so we can get the clients and then learn that." Let's be clear. ABM is not a chicken or egg riddle. You must possess valuable (preferably unique) insights about your targets before you can expect a return on your efforts. ABM is the ultimate in sales and marketing alignment. Successful ABM requires the implementation of multiple, complex "plays" integrating every arrow in your go-to-market quiver. Targeted advertising, emails, content, website, PR, sales outreach and more. If you're not aligned, ABM is not going to work. I remember when Inbound Marketing was becoming popular. People were jumping on the bandwagon because they got convinced that adding good content to their website would have buyers knocking on their door (or website form) ready to buy. People thought it was a short-term investment, and were hugely disappointed to learn that it requires an investment mindset. The same is true (plus) for ABM. If you're implementing ABM with a primary measurement in the first year of revenue, then you will be disappointed as well. This is not to say you won't get some short-term results from ABM efforts, just that it cannot be the primary success metric. We recommend building metrics around five key areas of progress. These components are what lead to sustained revenue and the (mid- to long-term) results that make ABM worthwhile. Coverage: How well do you know your targeted accounts? Awareness: How much attention are your targeted accounts giving you? Engagement: How much and what are the key role players engaged in? Reach: How deeply are you gaining attention and commitment? Influence: How much impact are your efforts having on how your targeted accounts define their problems and potential solutions? If you're thinking about ABM (or if you're implementing it) realize that it can be a highly effective piece of the growth puzzle. Be sure you focus on the keys to success and be prepared to iterate, adjust and pivot...just as you do with every other successful growth strategy.